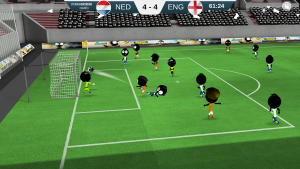 Stickman Soccer 2018 is the brand new and better than ever sequel to the award winning Stickman Soccer with more than 75 million players. 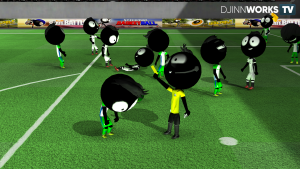 Experience pure soccer fun with fast paced arcade gameplay, an astonishing atmosphere, stunning smooth animations, simple controls, insane action and tons of replay value in this from the ground up redesigned Soccer game. Choose your favorite soccer teams and rank up while playing various seasons, national leagues, cups or the World Cup 2018 in Russia. 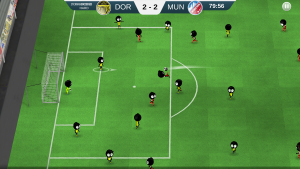 Stickman Soccer 2018 has tons of new gameplay features like yellow/red cards, sprint button, slow motion replays, overhead kicks, free kicks, … an outstanding stadium and finally the ability to customize all teams, every soccer player and upgrade your team within the transfer market. Choose your favorite soccer team from more than 150 different skilled teams and lead them to glory! You can play offline whenever you want or play online and participate in daily changing live events or even challenge your friend locally with up to 2 controllers. New game mechanics including yellow/red cards, sprint, fouls, free kick, penalty kick, long pass, overhead kicks, header, corner, etc..